Lama Zopa Rinpoche on the beach to do blessing for all the sentient beings in the ocean, California, October 2015. Photo by Ven. Roger Kunsang. 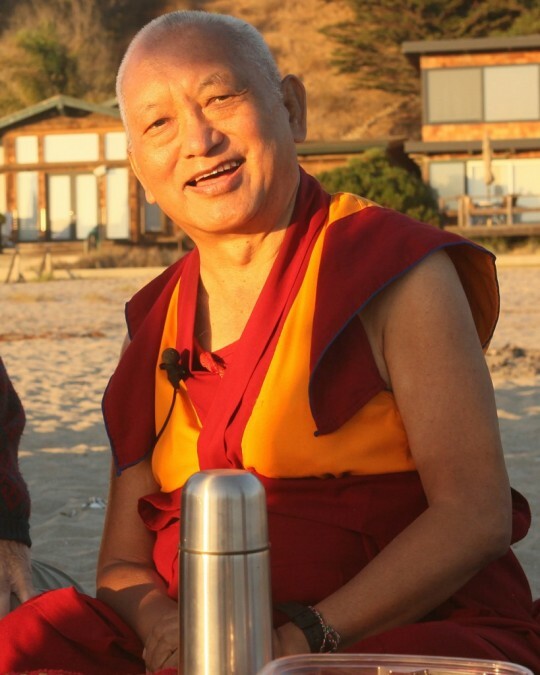 In 2007, Lama Zopa Rinpoche shared what he and some FPMT students did to benefit the millions of turkeys that are killed in the U.S. for Thanksgiving Day. Rinpoche has long been a proponent of vegetarianism and thanks anyone who works to reduce the amount of meat they eat. Rinpoche suggests two practices that are beneficial for our friends the turkeys. “I made a divination as to what would be the most beneficial thing to do for the turkeys and found that Medicine Buddha puja came out best, so the Sangha at Kachoe Dechen Ling, Fabrizio Pallotti and I did an extensive Medicine Buddha puja for them.